Image courtesy of Imperial Metals. Canada’s Imperial Metals (TSX:III) became Wednesday the latest copper producer to announce tough measures aimed to weather the effects of low metal prices by suspending operations at its Huckleberry copper mine in British Columbia. The company, which owns 50% of the mine, said it would lay off 100 of its 260 workers, keeping the rest to mill stockpiled ore.
“While HML has made significant efforts to reduce operating costs at the Huckleberry mine, the realized savings have not been sufficient to offset declining copper prices,” the company said in a statement. 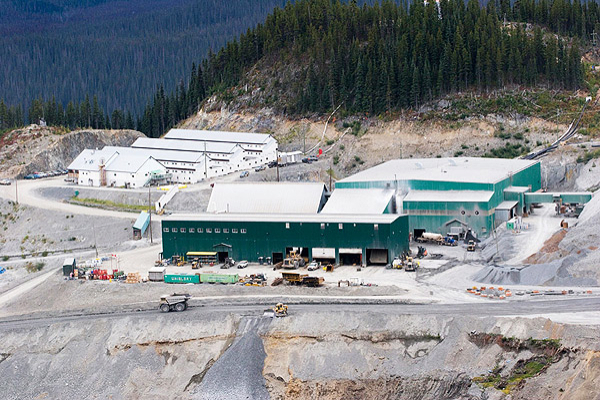 The Vancouver-based miner does not expect to have to halt operations at its other two copper mines, Red Chris and Mount Polley, also based in B.C. "Red Chris is a much lower-cost operation (than Huckleberry)," he told Reuters. "Mount Polley has a lot more leverage to pull as it has higher grade portions which provide a little more flexibility." Copper prices have plummeted in recent years, forcing miners to sell assets, mothball mines and slash production. Future contracts are currently trading at about US$2.06 a pound, a price not seen since 2009, when the global economy was in the midst of a major downturn.